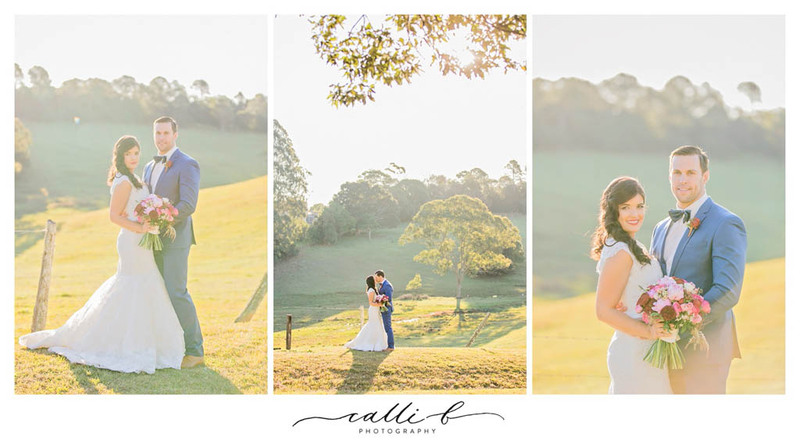 Winter in the hinterland usually provides blue clear skies and often plenty of sunshine, it is one of the most beautiful times of the year to get married here on the Sunshine Coast, and the weather gods certainly didn’t disappoint when Vivien and Dane recently said ‘I Do’ on a perfect July day at beautiful Flaxton Gardens. 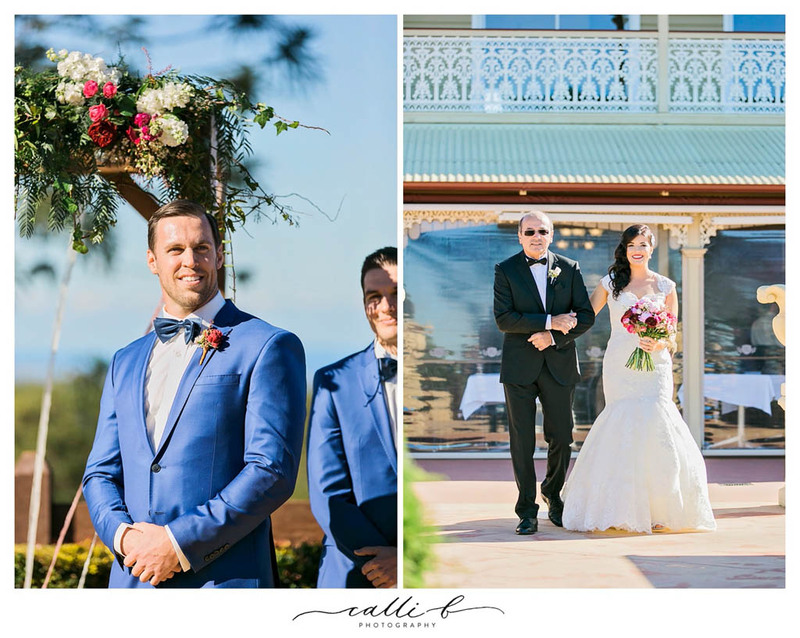 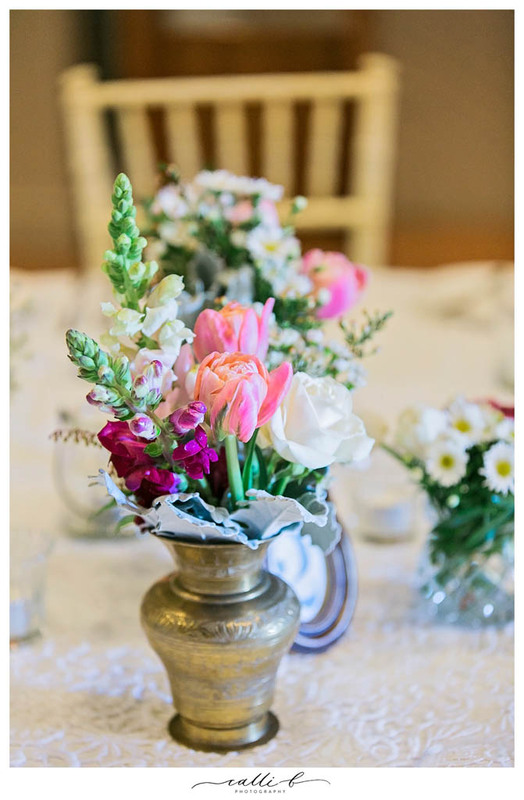 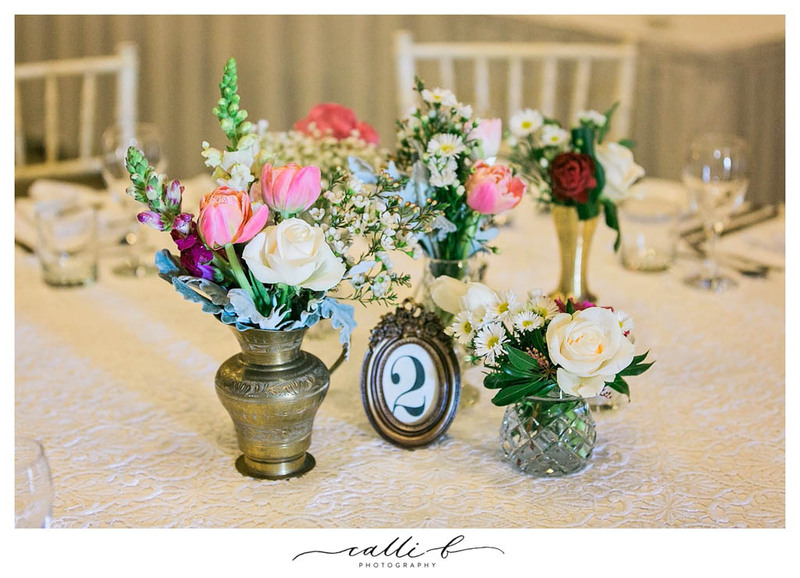 We had the pleasure of creating the beautiful floral concept for this stunning couples vintage inspired wedding day, and with the talented team at Love Bird weddings Vivien’s dream wedding day was filled with all the charming details including plenty of pretty petals and sweet country styling. 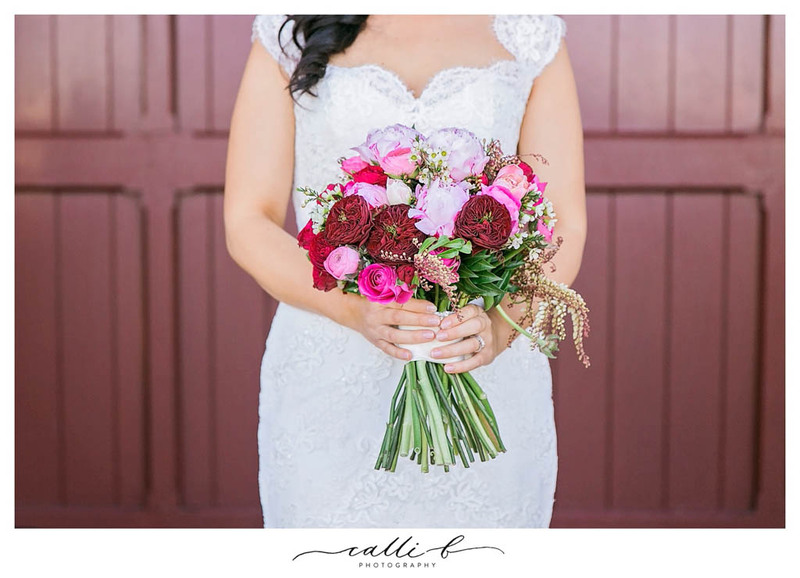 The beautiful colour palette featured pink, ivory, plum, magenta, burgundy and hints of raspberry tones, and exquisite blooms including Grand Jubilee roses, stock, snapdragons, ranunculus, double tulips, sweet pea and cluster roses featured. 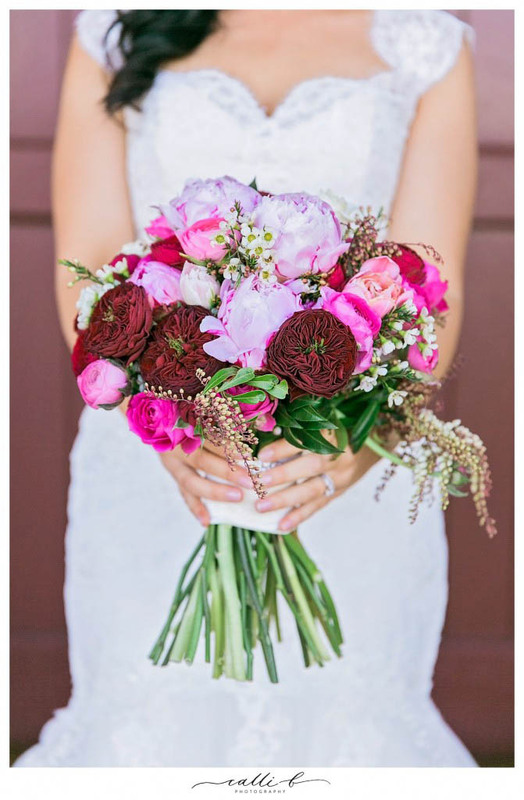 Vivien’s beautiful bouquet also included a few blooms of peonies imported especially from France. The bridesmaids carried simple posies of sweet baby’s breath and the flower girls held cute country inspired petite posy designs. 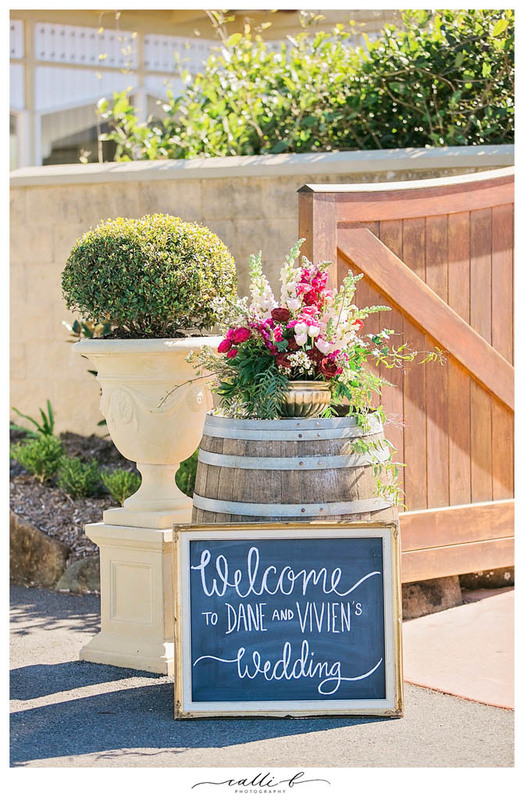 Every angle of this beautifully styled wedding was covered with delicate touches of vintage details and pretty petals, from the entrance sign that featured a lush antique pot design filled with beautiful blooms to the décor and floral designs featured amongst the chill out area, flowers and styling put the finishing touches on Vivien and Dane’s charming country wedding concept. 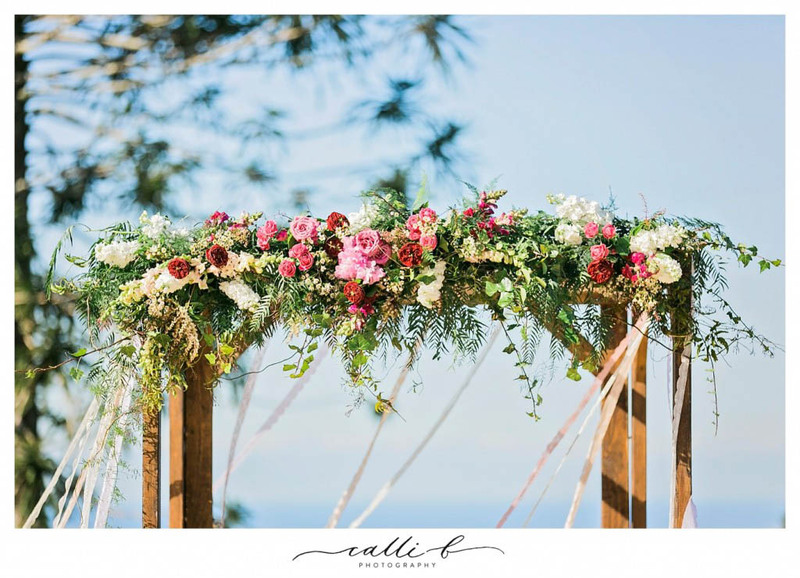 The beautiful ceremony held on the escarpment featured a timber canopy from Love Bird weddings and we adored creating the floral feature that accented the colour palette beautifully, and showcased those gorgeous blooms, the pretty ribbons trailed delicately in the breeze and the surrounding landscape provided a lush backdrop to the country ceremony space. 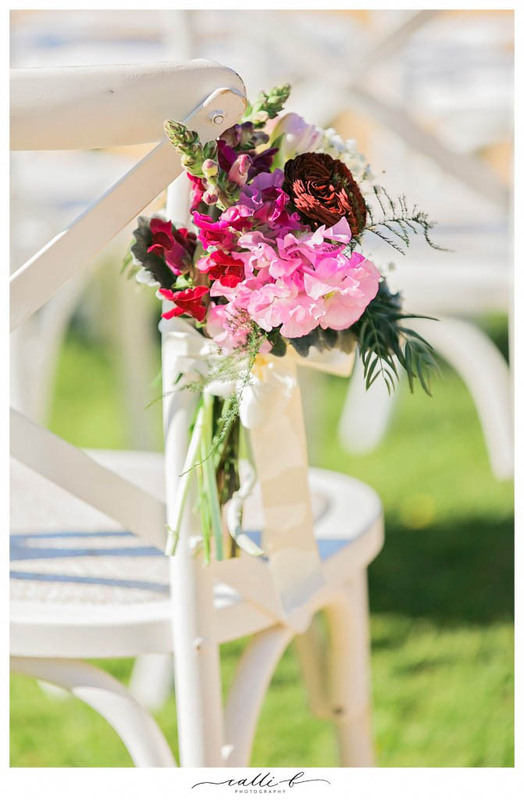 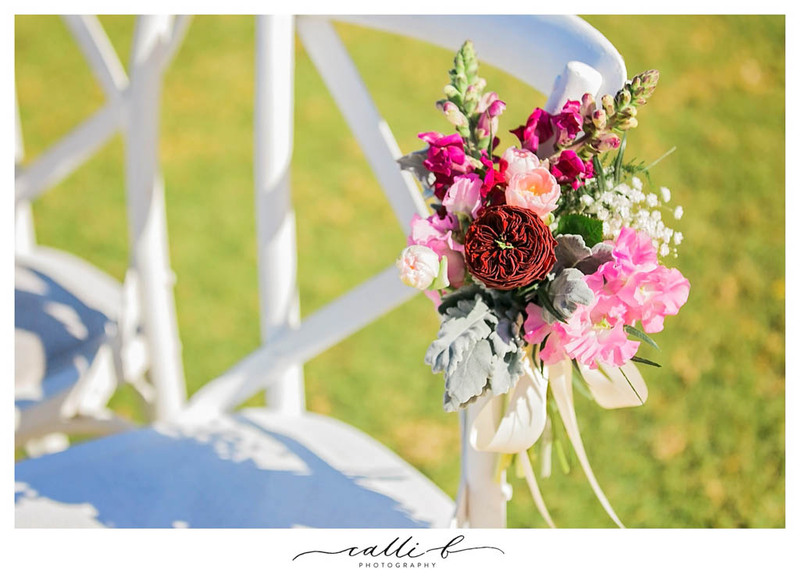 Sweet chair posies featured on the aisle chairs and created a stunning entrance way for Vivien and her beautiful bridal party. 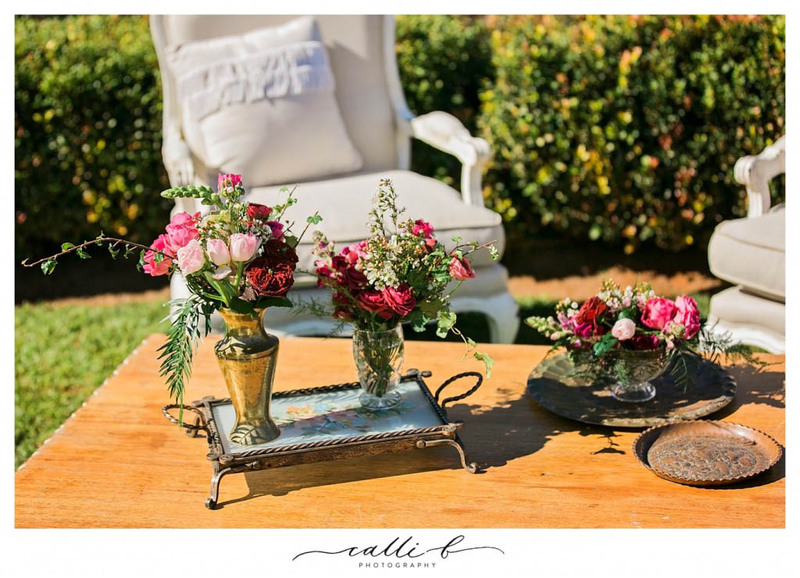 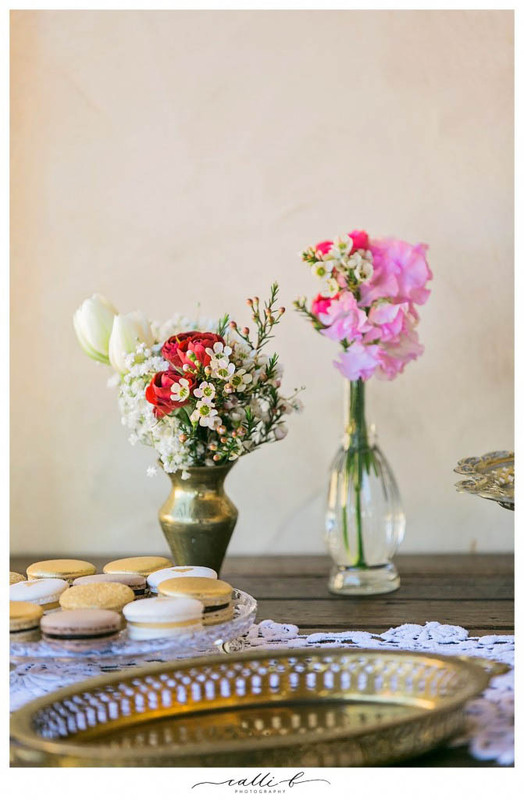 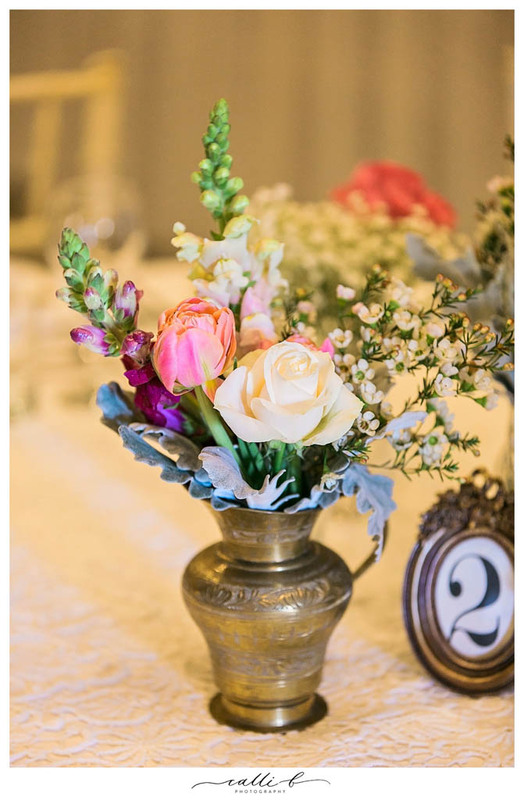 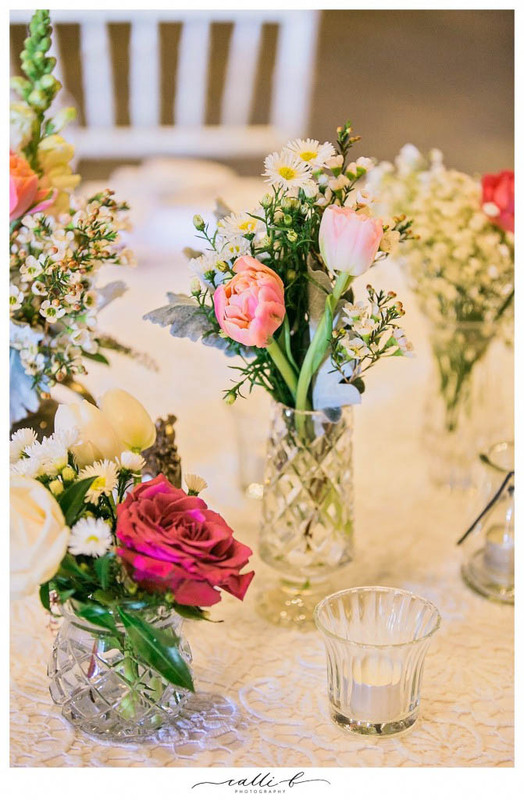 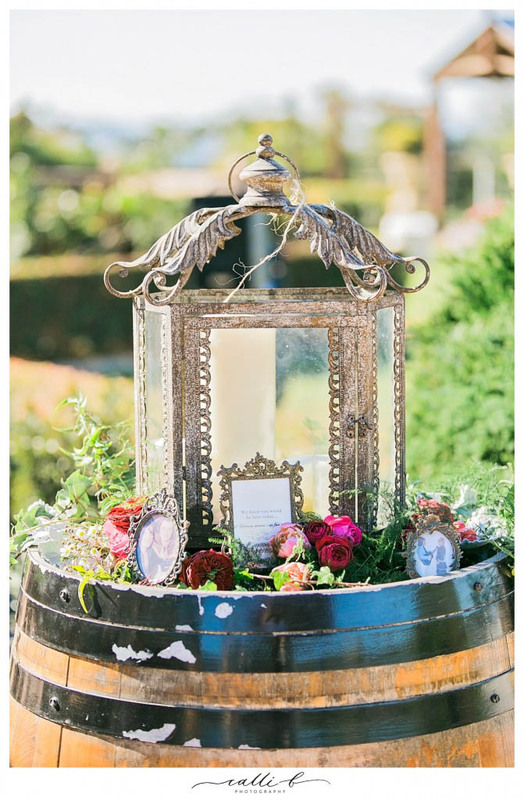 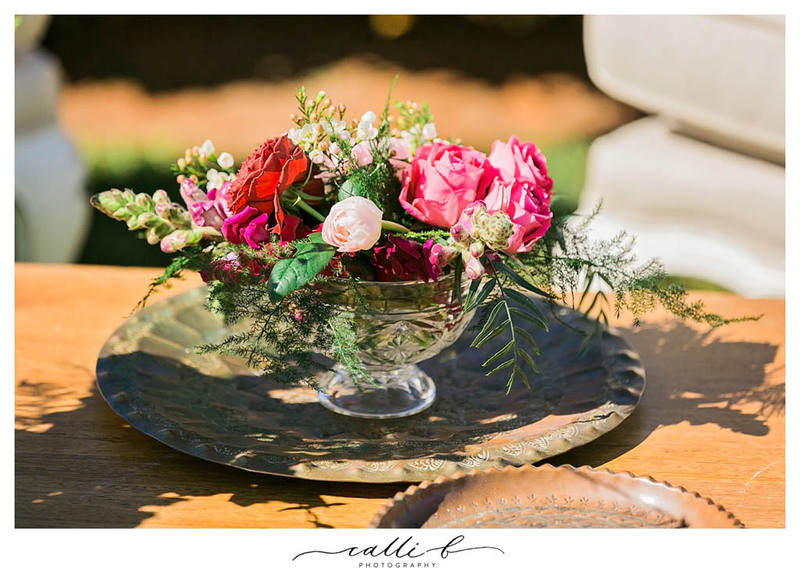 The reception featured our collection of antique collectible brass vases, a great concept for the country vintage wedding style, and the eclectic vessels showcased the continuation of the pretty floral concept. 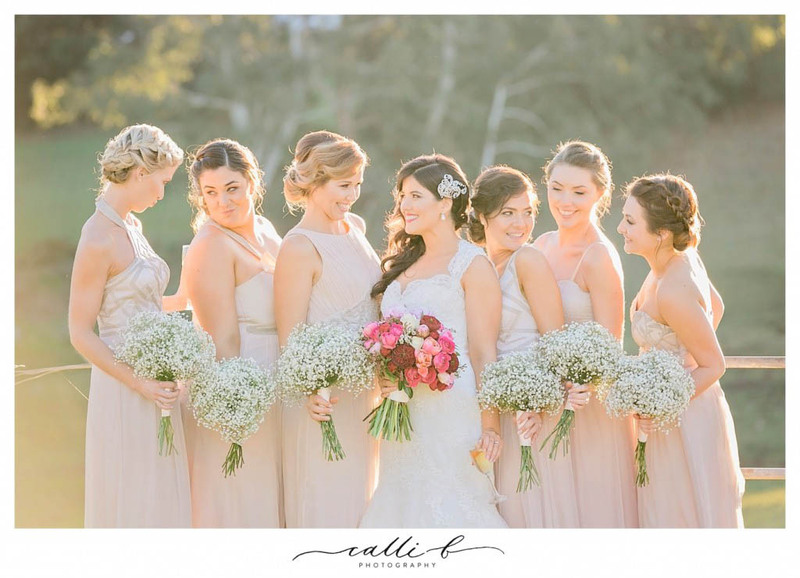 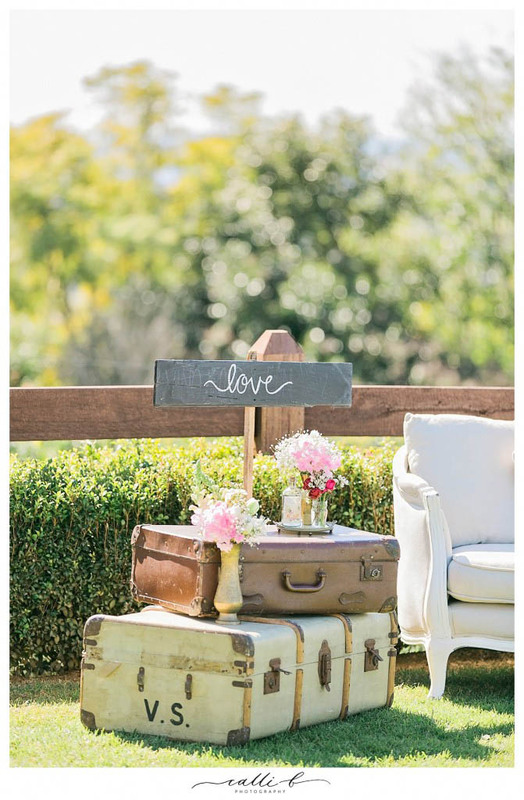 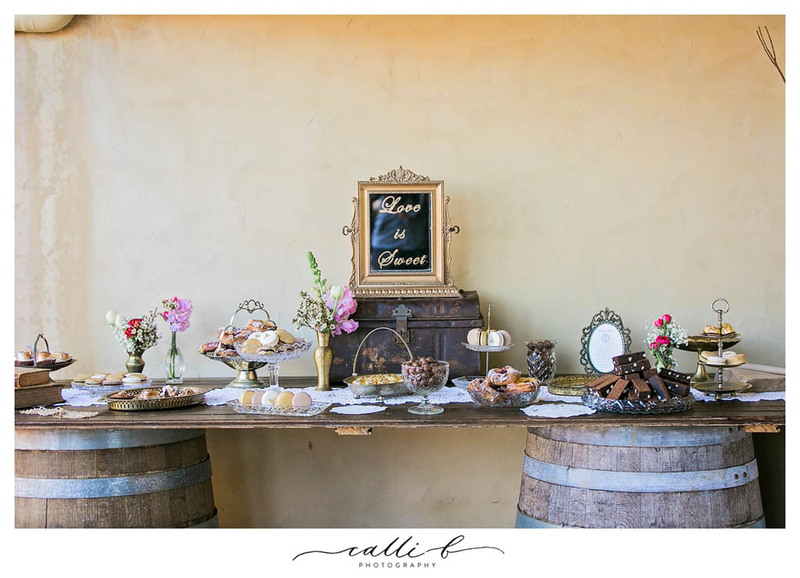 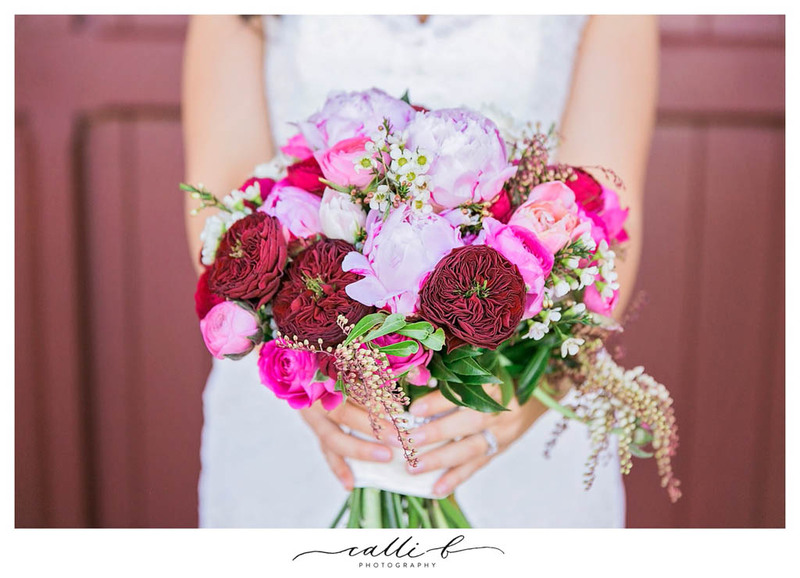 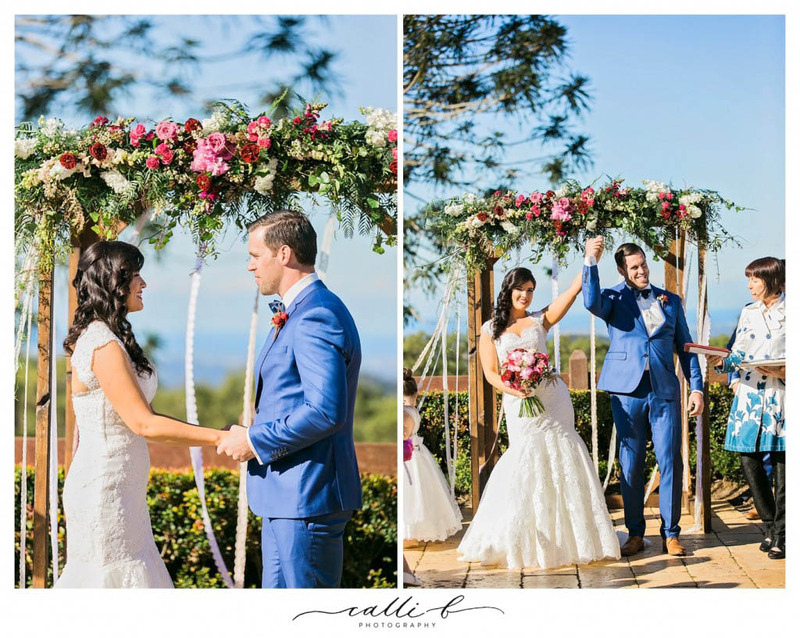 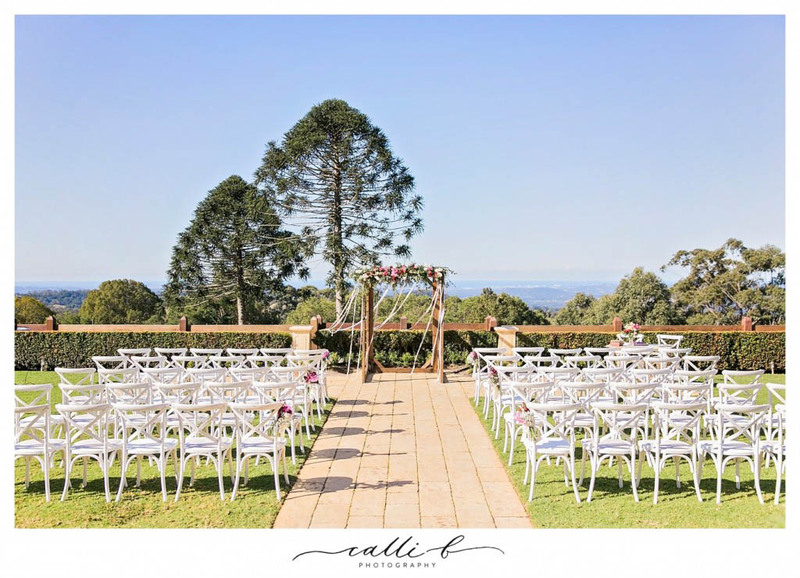 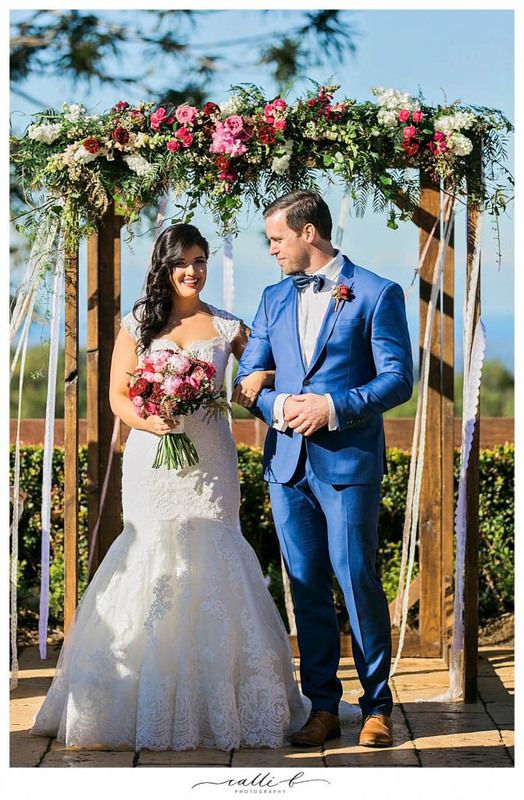 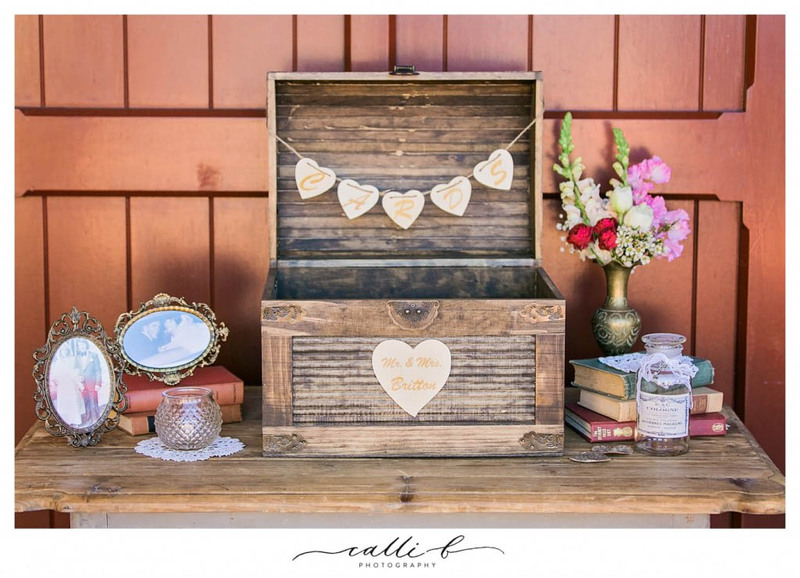 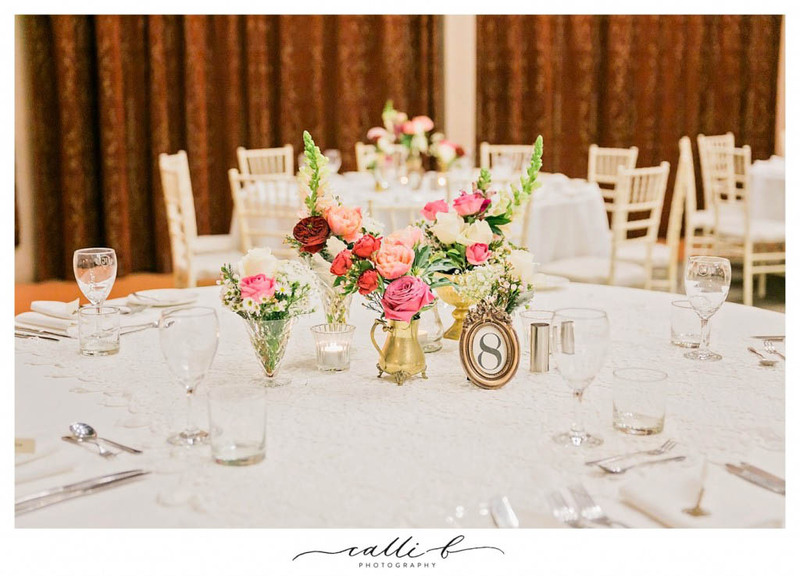 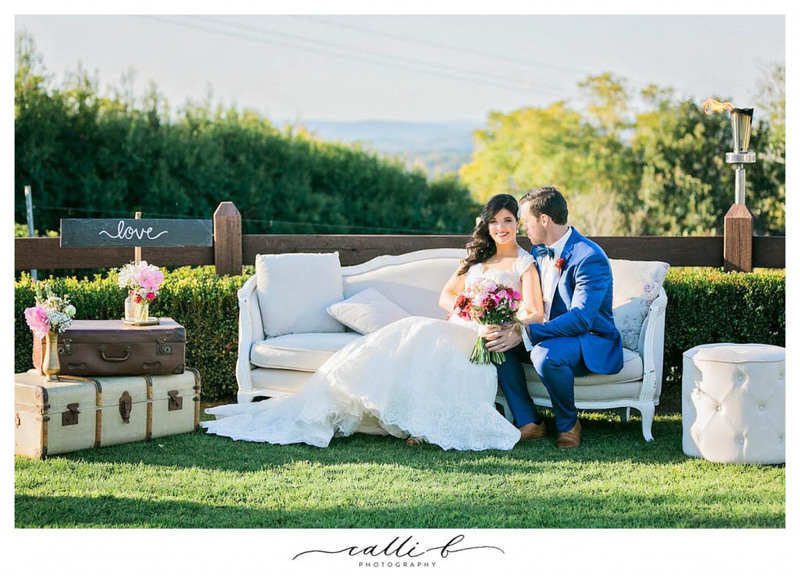 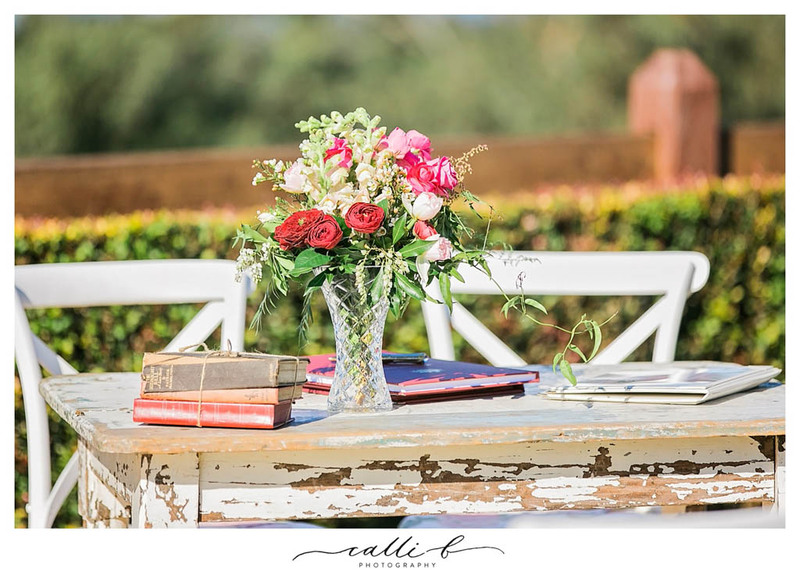 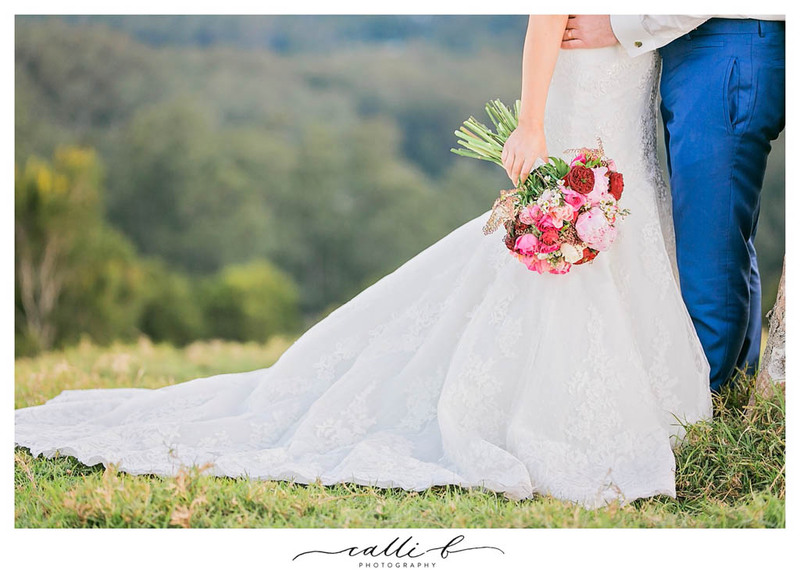 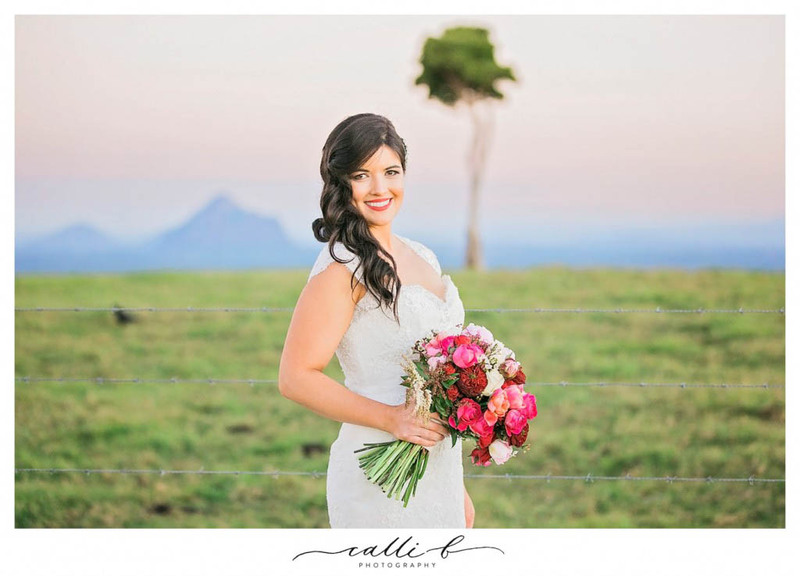 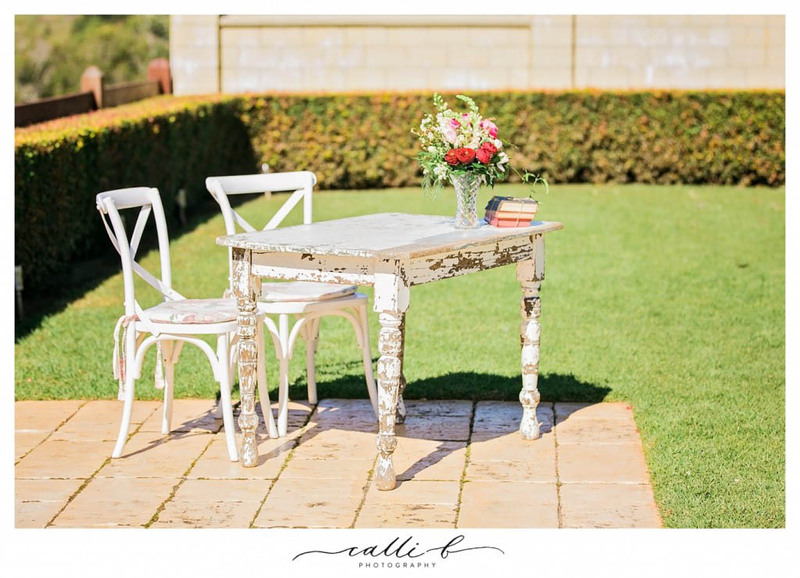 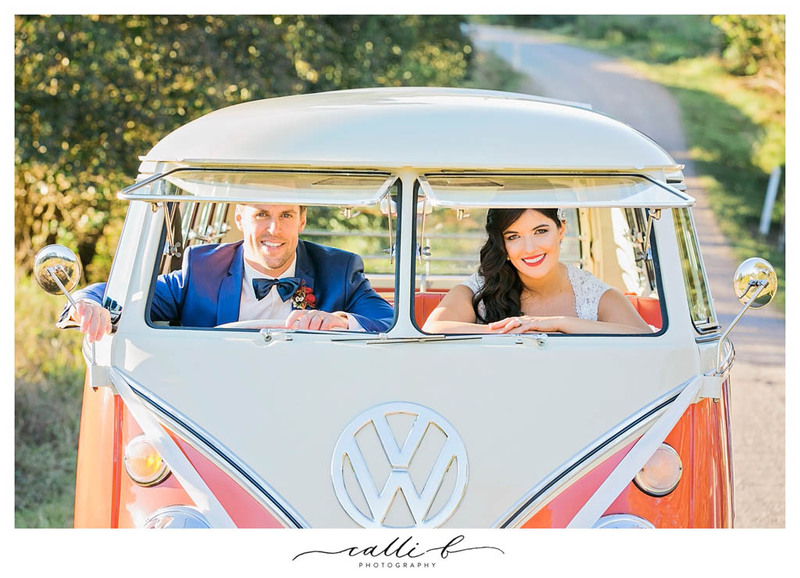 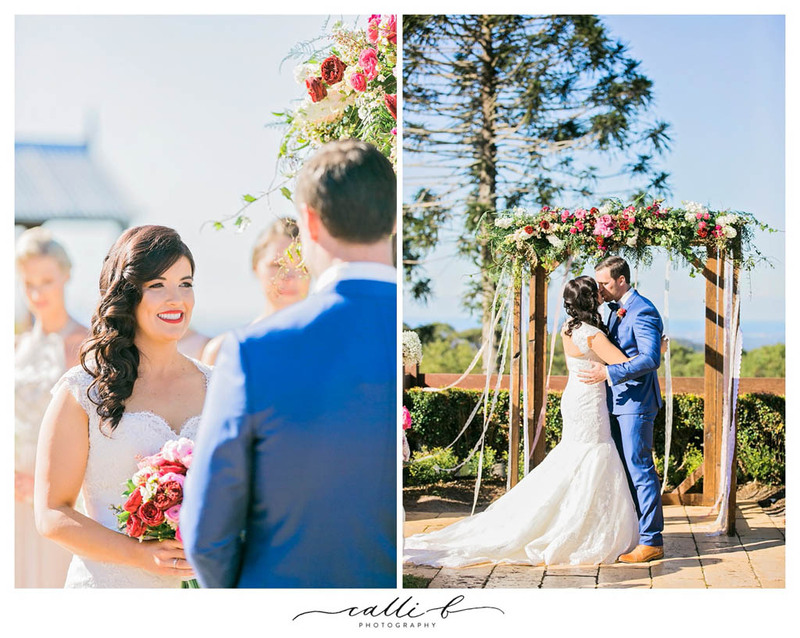 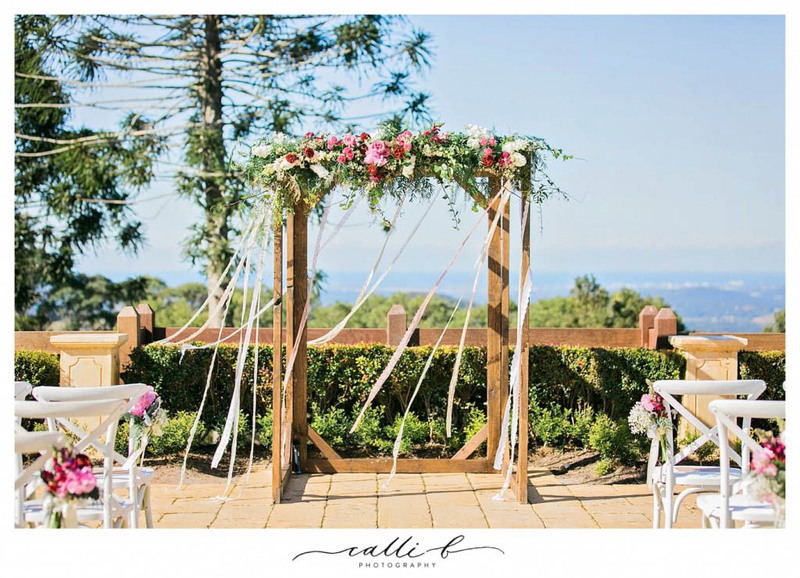 Calli B Photography captured these beautiful images that also featured the majestic hinterland locations surrounding Flaxton Gardens.